Ohr Somayach International completed its weeklong tour of North America Tuesday night, May 5th, at the Nessah Educational and Cultural Center. “Surviving an Insane World: The Torah’s Sane Approach to our Unique Times,” was elucidated by Rabbi Dr. Yitzchok Breitowitz, Rabbi Dovid Kaplan, and Rabbi Dr. Dovid Gottlieb. Rabbi Breitowitz explained that although Chazal teach there will be four exiles, midrashim say there will be a fifth. The fifth and current exile, the Yishmaelite exile, is not a separate exile in itself, but an amplification of the Roman exile, coming at the tail end and creating a union of the power of Yishmael and Esav (Edom). This terrifying combination leads to the most difficult exile. The Vilna Gaon teaches that of the seventy nations that persecute the Jews, thirty-five get their spiritual power from Edom, while the other thirty-five get their strength from Yishmael. Edom is epitomized by materialism and the denial of Hashem, while Yishmael taps into dark, spiritual forces and uses them for unparalleled cruelty. Most dangerous, Breitowitz explained, is the fact that the Yishmaelim do not care to die, or blow up the entire world. Another way to survive in our insane society is by creating a home that’s a “warm bird’s nest;” in particular, Kaplan emphasized the need for a father to show affection to his children. Kaplan described the Shabbos table as a place for communication, not education. “It’s not a classroom or a lecture.” Divrei Torah should be woven naturally into the conversation; it’s part and parcel of our speech and our communication, but not presented as a formal lecture. Kaplan concluded his talk by emphasizing the primary need for tefillah, not as an afterthought (“well, it couldn’t hurt”), but that we always need to daven for success with our children. 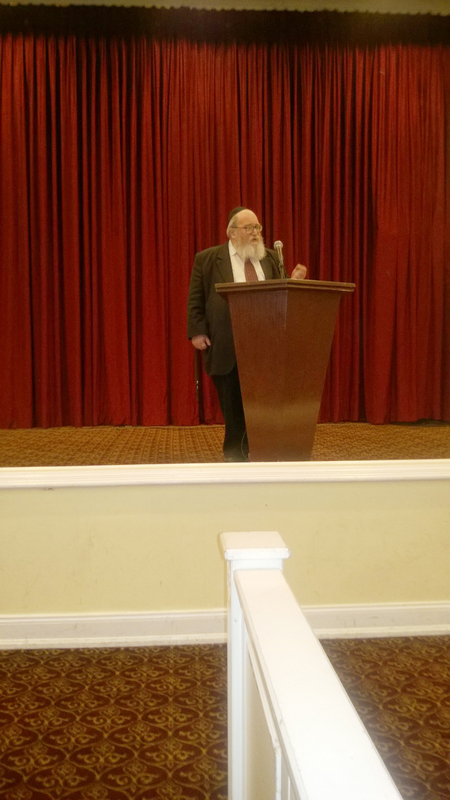 Rabbi Gottlieb summed up his presentation with a story of Rav Shlomo Zalman Auerbach, zt’l. At his wife’s levaya, Rav Auerbach did not ask forgiveness from his wife, as is the custom, because in over fifty years of marriage he had nothing to ask forgiveness for.